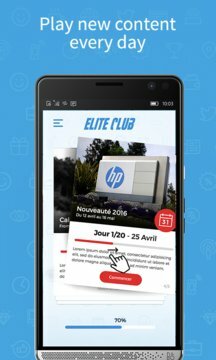 The HP Elite Club App is your day to day tool to keep top of mind what you learn during your last training session. Every day, improve your knowledge and you'll soon become an expert. Win points and badges to reach the top of the leaderboard. 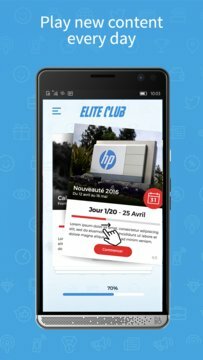 With this app, play 3 minutes a day and learn anywhere, anytime on your smartphone.